WASHINGTON (Sporting Alert) — Washington raced off to a fast start as three players grabbed double-double in the Wizards’ 102-86 victory over the Chicago Bulls at Verizon Center on Friday night. Star center Marcin Gortat collected 21 points on 10 of 16 shooting and 13 rebounds to lead the way for the Wizards (25-11), who have won three straight. 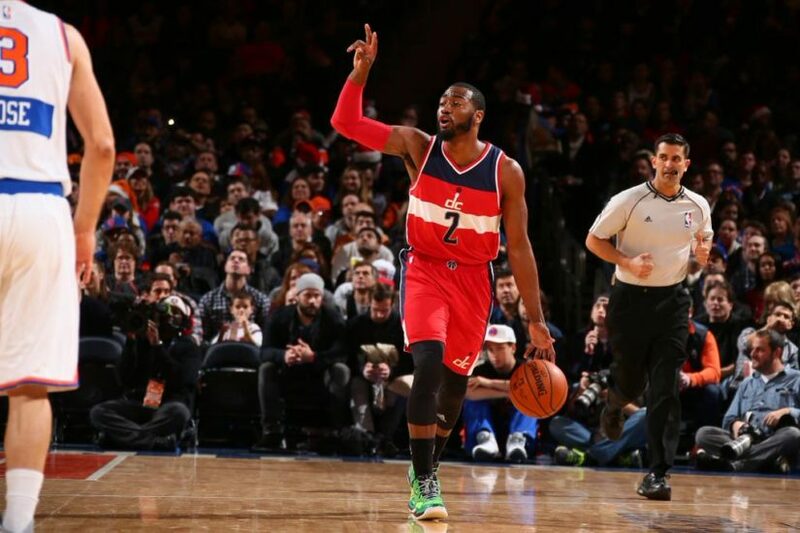 All-Star point guard John Wall added 16 points, 12 assists, four rebounds and two steals, while Nene Hilario finished with 15 points, 11 boards and two steals in the win for Washington, which shot 47.7 percent from the field and 53.3 percent from three-point range. Bradley Beal hit three of his four attempts from behind the arc on his way to scoring 17 points and Rasual Butler ended with 13 in the win. Derrick Rose led Chicago ((25-12) in scoring with 19 points, Aaron Brooks added 16 points off the bench and Pau Gasol contributed 12 points and 13 rebounds in the defeat. The Wizards blasted from the blocks and rushed to a 30-10 lead in the first quarter before taking a 59-42 advantage at the halftime interval. With the win, Wall and his teammates moved to second in the Eastern Conference standings behind the Atlanta Hawks, who defeated Detroit Pistons, 106-103 on Friday night as well. Up next for the Bulls is a home clash against the Milwaukee Bucks on Saturday, with the Wizards visiting the Hawks on Sunday in what is expected to be a very exciting matchup. In other results on Friday night, star forward Kevin Durant scored 32 points and Russell Westbrook added 25 in leading the Oklahoma City Thunder to a 99-94 win over the Utah Jazz, while Jrue Holiday scored 23 points and eight assists and Tyreke Evans grabbed 21 points and 10 rebounds in the New Orleans Pelicans’ 106-95 win over the Memphis Grizzlies.